Only six countries have won the World Cup whilst hosting the competition, with France being the most recent nation to do so back in 1998. Having beaten Morocco to host the competition in a straightforward two horse race after the Swiss had to pull out for not meeting FIFA’s demands, the French were given the chance to stage the World Cup for the first time since 1938. It was felt that Africa was not yet ready to host the competition, with Morocco’s 1994 World Cup bid also being rejected. The wait was worth it though for France, as Aime Jacquet’s side lifted the trophy after beating Brazil 3-0 in the final to prevent the Samba nation retaining the crown. The 1998 competition also provided the first taste of the World Cup for the likes of Thierry Henry, David Beckham, Paul Scholes, Samuel Eto’o, Patrick Kluivert, Raul, Gianluigi Buffon and Michael Owen; who became known on a global scale thanks to *that* goal against Argentina, but they still managed to overcome the English in the Round of 16. The 1998 World Cup was also the first competition made up of 32 teams, with the previous restriction of only 24 nations being abolished to help FIFA spread their global appeal and attract a much higher audience. Consequently, this saw the end of the best third-placed teams qualifying, and instead the top two from each group would go through to the next stage. As well as this, the Golden Goal rule was also implemented for the first time. This meant that the first team to score during extra-time were automatically handed the win, but this had since been erased as fans felt it led to extra-time being ‘too defensive’. Politically, the France World Cup is most remembered for the clash between USA and Iran, who were drawn together in Group F and played in what critics call ‘the most politically charged match in football history’. The two nations had been embroiled in rivalry for the past 19 years, and this clash provided the platform for potential controversies. Iran’s 2-1 win was their first victory in a World Cup finals, and severely worsened morale in the American camp following their progress in the 1994 competition. However, Jeff Agoos, a US defender, recognised how the game helped to spark better political relations when he stated, “we did more in 90 minutes than politicians in the past 20 years.” In fact only 18 months following this, the two nations clashed again in a friendly match held in California, showing how France 1998 had allowed for better communication between the two. Croatia also made their first appearance at a World Cup as an independent state having broken away from Yugoslavia, and even managed to beat Germany in the Quarter Finals of the competition but eventually finished 3rd in the tournament overall, only the 2nd time a debutant had finished in the top 3 since Portugal in 1966. 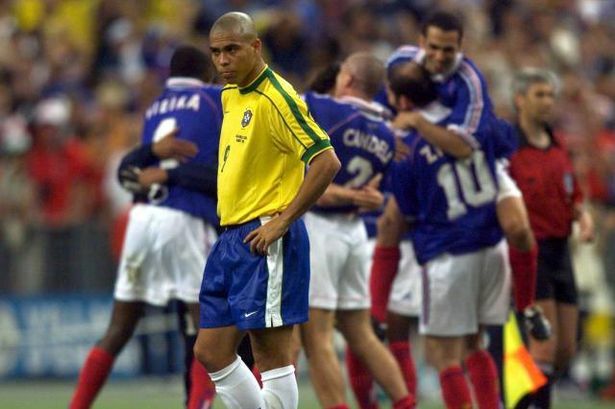 The 1998 World Cup final was a very confusing event however, with Ronaldo being excluded and then included into the starting eleven for Brazil. Little was known as to why the striker was only put into the line-up 45 minutes before kick-off, but it later emerged that 21 year-old had suffered from a convulsive fit. However, the press were told that Ronaldo had an ankle injury, but many were not naïve to fall for this tale. Wanting to find out the scoop first, a media frenzy emerged just before kick-off. John Motson, the BBC commentator noted, at the time “I’ve never seen anything like this in my career, the scenes in the commentary box have been absolute mayhem and chaos.” Questions became intensified only twenty minutes later when Ronaldo had appeared to fully recover and started the game. After the match, when it was clear Ronaldo should not have played, conspiracies started to emerge as to why the Brazilian remained on the pitch. Cynics pointed towards the sponsorship arrangement between the Brazil federation and Nike, who had a £105 million partnership and therefore demanded the inclusion of one of the world’s upcoming stars, although the Brazil manager vehemently denied these claims. 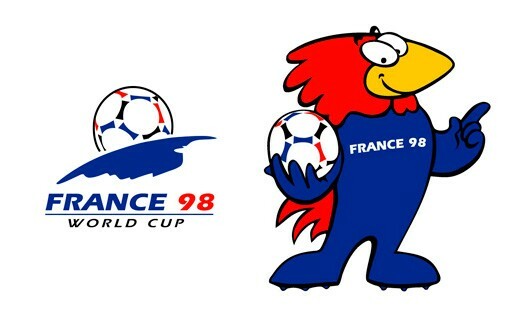 The legacy of the France World Cup is questioned however, with the French national team never matching the victories they accomplished in 1998 and the Euros they also hosted and won in 2000. Although it is noted that the 80,000 seated State de France came about as a result of the competition, the location of the stadium was heavily contested politically. On a serious note, France essentially failed their World Cup goal; to greater a sense of multiculturalism and improve social conditions. Although it can be touched upon that Zinedine Zidane, the child of Algerians, helped to improve a sense of belonging, this only delayed the work of the far-right who were not welcoming of this diversity which began to emerge. From 1999 and 2000, many newspapers questioned if the French national team should have so many ‘foreigners’. Many said they were unhappy with the ‘alien French’ in the side, with 36% saying they did not want to win the World Cup with so many immigrants in the team. In fact, French football saw an increase in racist attacks following their World Cup success. 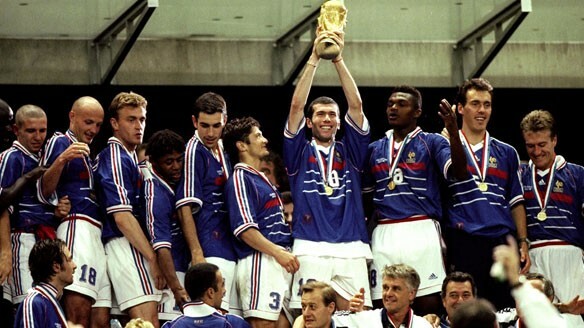 Lifting the trophy only temporarily took away from the racist and intolerant attitudes which were apparent in France throughout the 1990s and the following years.